Mary Joyce's Cottage, Main St.
One of the many things he achieved in his varied life was to persuade Churchill, the then Prime Minister of England, to launch what became known as The Big Ben Silent Minute. The idea was for the people of Britain to observe a minute of prayful silence every evening on the strike of 9pm to help the war effort in a spiritual way. When the chimes rang out, (and they were broadcast) over 10 million people observed the ritual regularly. Mary married the Rev. J. Bruce Wallace, M.A., a Presbyterian Minister from Limavaddy whose ministry took him to Dublin and to Salthill where the family settled. 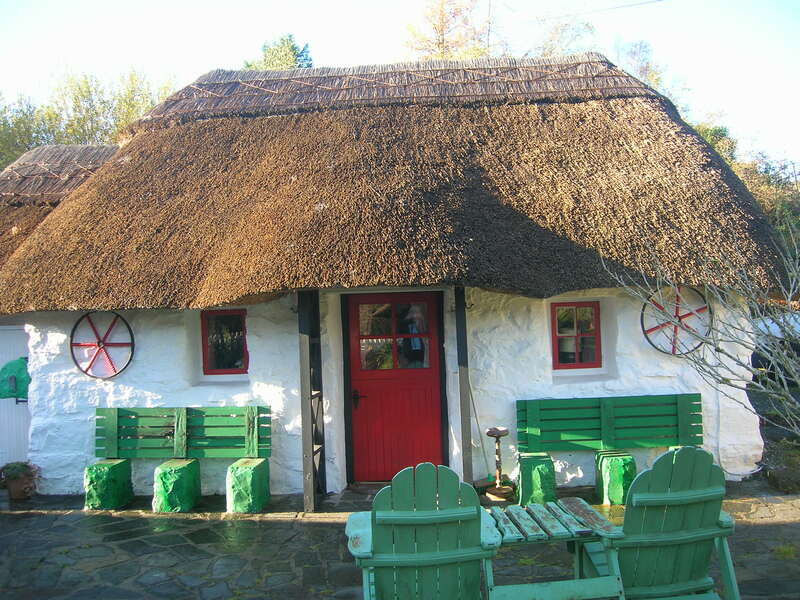 It was during this time, on a trip to the Hill o’ Doon, that they came across the Philibin cottage. They purchased it from Tommy Joyce and had it re-built, naming it “Marycot”. Both Mary and Monica, who converted to Catholicism, are buried in Kilcummin cemetery over looking their beloved Lough Corrib. 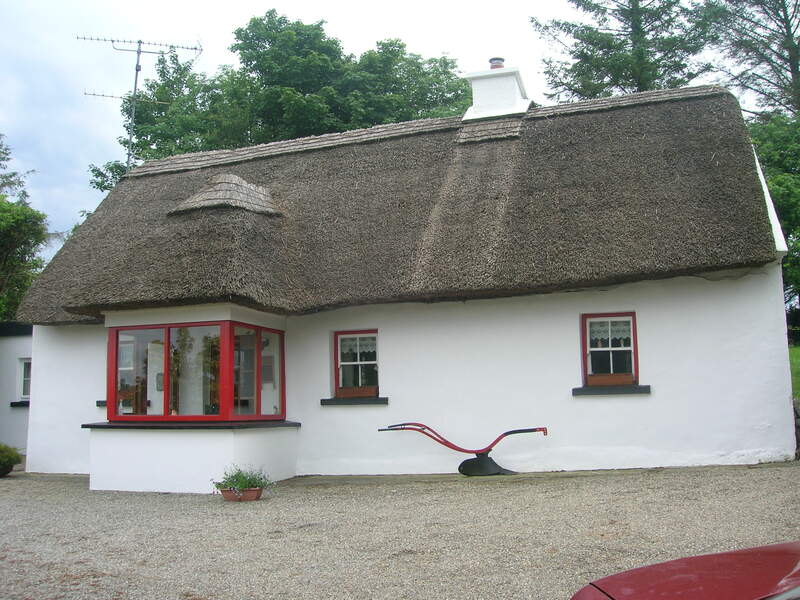 Marycot is now owned by Liam and Deirdre Jordan who run a photography business in Ballinasloe. This house is used as a summer residence by Nora Ann Mullderrig. Nora and the late Frank Mullderrig are 3rd generation Irish. They were staying at Ashford Castle, fell in love with the scenic beauty of Lough Corrib and decided to buy a property in the area. Bill Fine, a fellow American saw the site for sale and Padraic Faherty built the house for Mr Fine who sold it to the Mullderrig’s. The late Christy Butler and later his family looked after the property in their absence. Mullderrig’s converted the attic and built on a conservatory. At the time of the 1911 census there were four residents in the cottage James and Bridget Kelly. 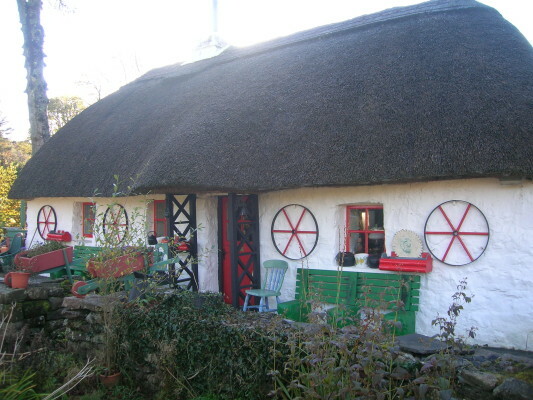 It was thought that their daughter Mary married Michael Cummins who lived in the village, Joe emigrated to America while Thomas known as “Tom” sold the cottage to Mattie Mons. 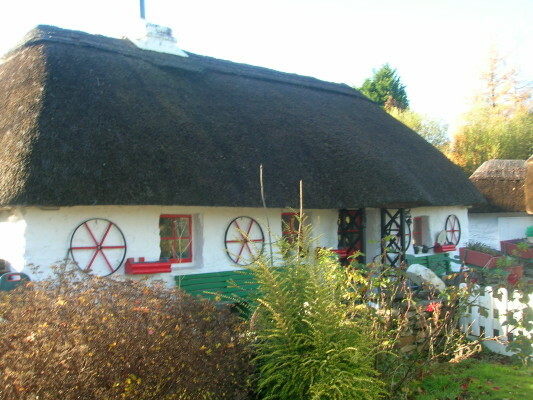 This location of the Mayfly Cottage was a well known landmark and was also known to locals as “Toms”. Mattie Mons sold the cottage to a Dutch couple Joseph and Rita Kentigen in the 1960’s. 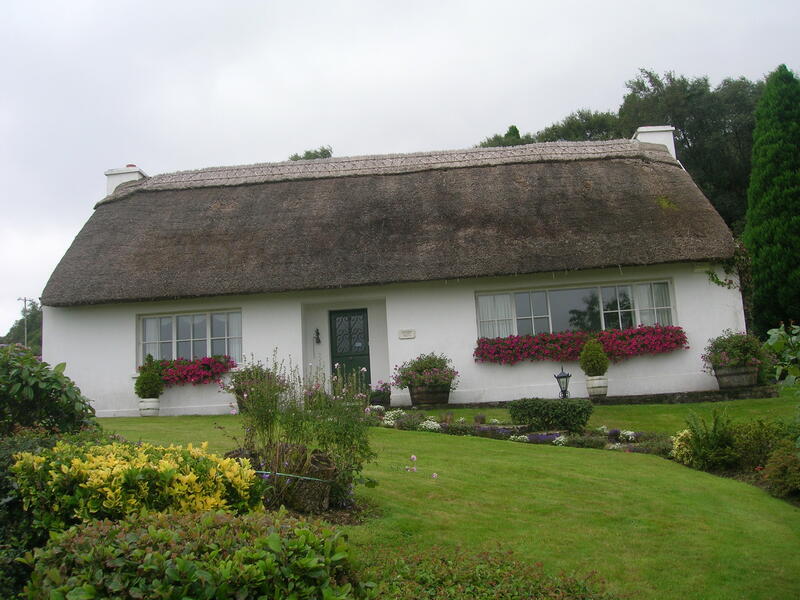 They won several All Ireland Garden Awards for their magnificent landscaped garden. The property has been sold on several times and is now owned by John and Olive O Neill. The cottage was once the “Wash House” for Currarevagh where all the laundry was done. 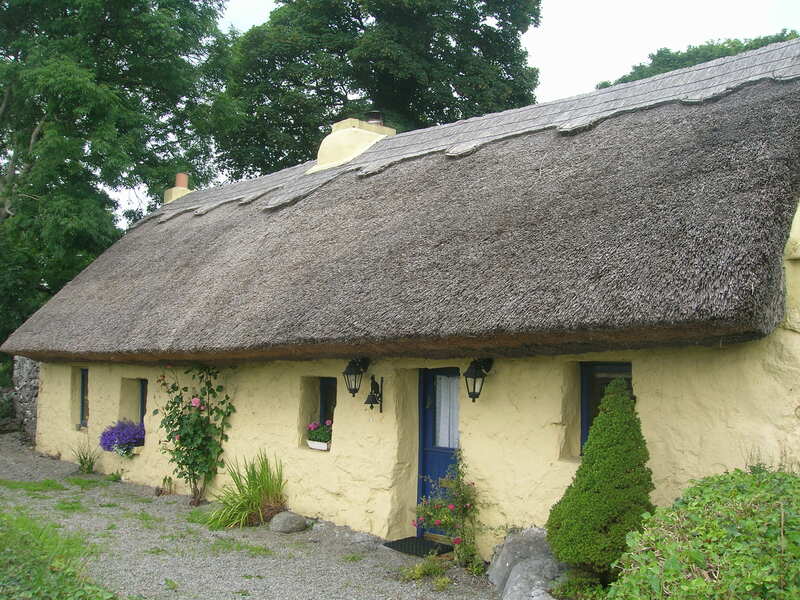 This home is a traditional Irish cottage in prime condition. 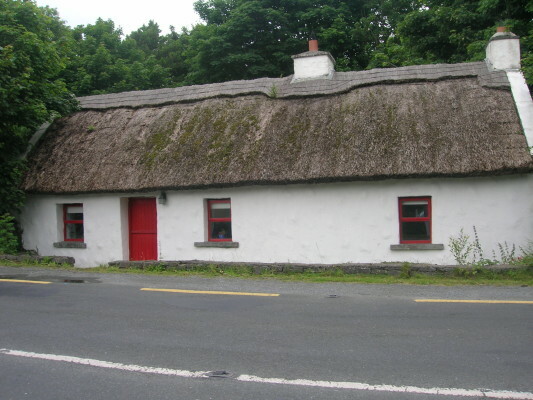 Larry Higgins who was married to Maggie Faherty spent many years in this cosy house. 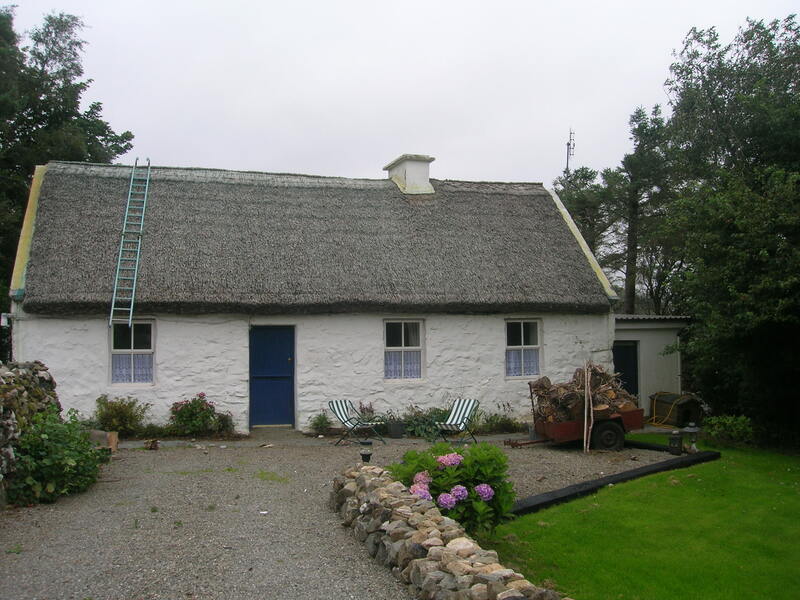 Larry left the cottage to his brother in law Jim Faherty who sold it to the present owners Eoin and Terry Hassett, Dublin. Mary Faherty and her beloved late husband David Smith bought this cottage many years ago. David was a gifted carpenter and he renovated an out house into a comfortable self contained abode. He made several alterations to the inside of the main cottage transforming it into an intimate comfortable home for himself and Mary. Mary planted a colourful cottage garden. 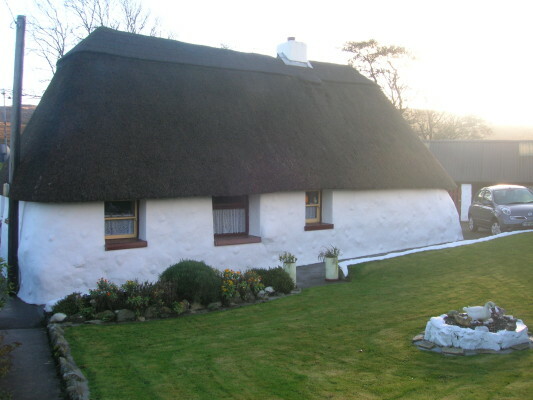 The late Tom Joyce and his wife Sarah lived in the house in Gortrevagh where they reared three in family, Pat, Mary and Roddy. Pat married Ann O Holleran and lives in Ardnasillagh, Mary married Paddy Roche and lives in Eighterard and Roddy married Iris Lyons and lives in Tullaboy House, Maam Cross. This house was built by the Willis family as a caretaker’s cottage for the Willis Estate now owned by Oughterard Golf Club. Tom Joyce was a tenant on the estate. The late Mr Previtte lived there for a while. 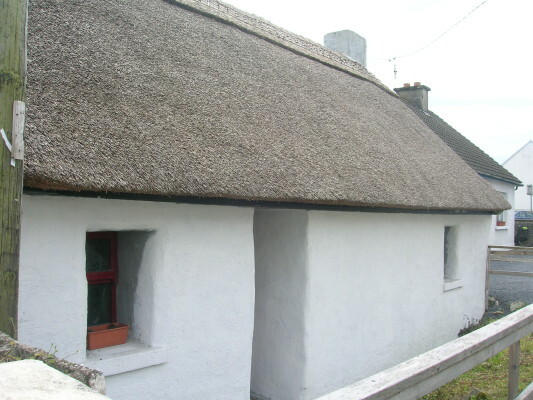 A Harris family – father of the late Tom Harris were possibly the first occupiers of the cottage. 1901 Census: Ellen Harris 75 is listed as head of the household and living with her is her son Thomas 38, his wife Margaret 38 and their children – Mary Anne 5, Thomas Michael 4and Patrick Joseph 1. In the 1911 Census there is no mention of Thomas Joseph but John 9, James 5 and Stephen Francis are listed. The family occupation is listed a wool weavers. This cottage was attached to a two storey structure which was also thatched originally but latter replaced by slates. This structure in the early 80’s was knocked to extend the car park at the golf club. In the 1901 Census Robert E. Willis resided here with his wife Annie, their children, Alicia 3 (Lily) who sold the property in 1970 with the intention to have a golf course built there and Bodelia 2 (Dilla). Donald Osborne and his wife lived in the house in Old Chapel. He had four in family. Their mother died when they were very young and they were reared by their father and Uncle John Joe. Mary and Sally live in England, John was reared by relatives in Ballinafad and was ordained a priest. Donal, now deceased lived in Jersey. Ollie R.I.P. stayed on and farmed the land at Old Chapel until his death. During the 70’s and 80’s this house was occupied by Mary Davis, a keen gardener and her husband. Jess Walsh now lives there. In the 1911 census the Dixon family lived there. There were two house together in this property. One was known as ‘The Burn House’ – it seems it was burnt at some stage. 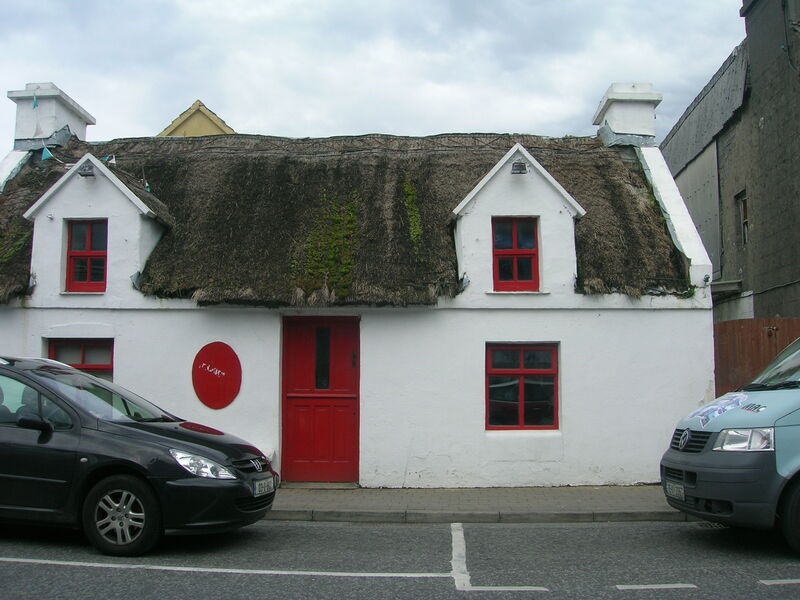 Padraic Faherty lived there before he bought the property now known as Faherty’s Pub across the Square. John Power and his wife reared a large family in the pub: Johnny, Mike, Willie, Matt, Gerry, Mary Margaret, who married Martin Walsh of Fermoyle. It was thatched in 2012 by the present owner Gerry Gibney. This page was added on 20/04/2013.